ARI Recruitment 2018 Project Mali Vacants for 01 Project Mali Posts Download Application through Official website www.aripune.org. ARI Project Mali Jobs Notification 2018 Released. 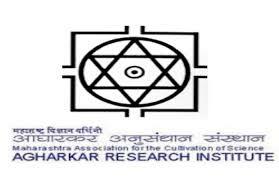 ARI invites Off-line applications for appointment in following Project Mali post in Agharkar Research Institute. Candidates are requested to Download Application through Official website www.aripune.org. The last date for submission of applications is 02.05.2018. Prospective candidates will have to apply before carefully reading the advertisement regarding the process of examinations and interview,eligibility criteria, Offline registration processes, payment of prescribed application fee/intimation charges, ARI pattern of examination, ARI Syllabus, ARI Question Paper, ARI Admit Date Release Date, ARI Exam Date, ARI Result Date etc. and ensure that they fulfil the stipulated criteria before Applying. Desirable: i) Diploma in Agriculture or HSC Passed ii) Should have experience in field work in grapes. Non-refundable application fee of Rs.100/- (except SC/ST and women candidates) to be paid onlinethrough https://www.onlinesbi.com/prelogin/icollecthome.htm or link available on Institute Website http://www.aripune.org (Pay application fees on SBI Collect under Announcements).Candidate should attach the receipt of online payment of fees and indicate the online receipt number in the application form. The Institute is not responsible for any incomplete/pending/failed transactions of online application fee payments and they may contact the concerned bank in this regard. Candidates fulfilling above conditions may apply in the prescribed format available under this advertisement along with self-attested copies of qualifications, certificates, Passport size photograph, caste certificate issued by competent authority (for reserved category) and send it to Agharkar Research Institute by 02.05.2018.